The Print Guide: To linearize your CtP plates or not? To linearize your CtP plates or not? Back in the old film to plate days the standard prepress procedure was to linearize film output. That means a specific tone request in the original file results in halftone dot in the film equal to the file tone request. So, for example, a 50% in the file became a 50% tone in the film. Linear film was the agreed standard interchange file format between prepress tradeshops, publishers and printers. At that time, the final tone on the plate was not measured. Instead, the resulting tone in the presswork was measured and deemed to be in specification, or not, relative to the supplied linear film. I.e. At 133 lpi, a 50% tone in the film resulting in a final tone of about 71% in the presswork would be considered in specification. Interestingly, although the film was linear, the resulting plates were not linear due to the dynamics of exposure in the vacuum frame. 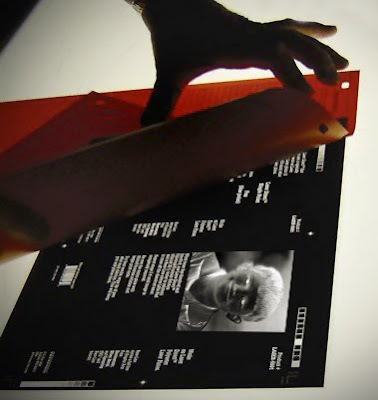 The arrival of CtP in the late 1990s eliminated film as the intermediary. As a result, measuring tone values on the plate became a process control metric. However, CtP plates seldom have a linear response to laser exposure and if a tone reproduction curve is applied to them to make them linear - the resulting presswork is usually too "sharp" - i.e. not achieving enough dot gain. 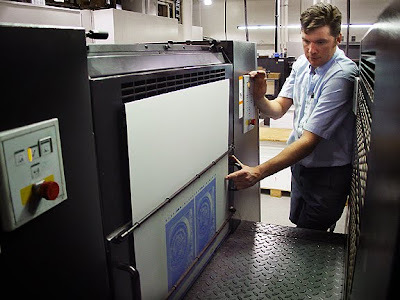 At the same time that CtP was rapidly being adopted, printers also began to use finer halftone screens, including FM screens, which had very different dot gain characteristics compared to the old published standards. Printers began to leverage the flexibility that CtP provided in being able to apply different tone reproduction curves to their CtP plates to achieve the tone reproduction on press that they required. So the question for the printer becomes: should prepress first apply a curve to linearize the plate and then, if needed, apply another curve on top of the first to achieve the desired final press tone response? So, just to confirm that the method that I have been using for the past 13 years was indeed the standard method used in the industry, I posed the question to an internet printer's forum: "Do you linearize your plates before applying a press curve (a two curve workflow - e.g. one to linearize the plate followed by another one to compensate for dot gain) or do you only apply a press curve to the uncalibrated plate (a one curve workflow - e.g. one to compensate for dot gain)?" The response shocked me - a whopping 70% said they first linearized the plate with a curve and then applied a press curve while only 30% responded that they simply applied a press curve to the uncalibrated (natural state) plate. 70% using one curve on top of another? That makes no sense to me at all. In a film to plate workflow, linear film is exposed to the plate in a vacuum frame. The function of the plate exposure is to reproduce the halftone dots in the film as consistently as possible across the surface of the plate, and perhaps more importantly, to create a robust halftone dot on the plate that will maintain its integrity on press. However, although the film may be linear, the resulting plates are not linear due to the dynamics of exposure in the vacuum frame. In North America using negative film there is typically a 2%-5% dot gain on plate at 50% (i.e. 50% in the film creates about a 54% on the plate) while in Europe and Asia where positive film was used there is typically be a 2%-5% tone loss at 50%. In a CtP workflow, as with a film to plate workflow, the important thing is to set laser exposure and processing (or lack thereof) to the manufacturer's specifications so that the result is a robust halftone dot on the plate that maintains its integrity on press. However, as with a film workflow, the resulting plates are typically not linear due to the dynamics of laser exposure, individual plate characteristics, and processing. 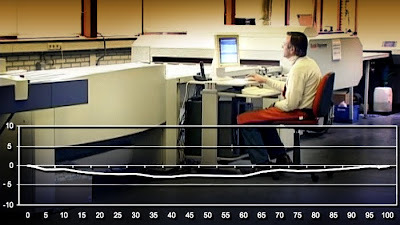 In this example, the thick line that dips below the 0 line is the natural uncalibrated plate curve after the engineer has done their work setting up exposure and processing for the most robust dot possible. With this particular positive thermal plate the uncalibrated plate curve results in a negative value through the tones. The bottom numbers in the graphic are the requested tone values in the file - 5%, 10%, 20%.... 90%, 100%. The "0" line represents linearity. I.e. if the plate was linear then that 0 line would be straight and be the "plate curve". But, in this case, a 50% request has resulted in about a 47% on plate. This is fairly typical - a well and properly exposed CtP plate does not have a linear response (i.e. a straight line). Also note that it is typically not a classic Bell curve - there is no symmetry. Different CtP/plate combinations will each have their own characteristic natural curves. So, from a CtP vendor engineer's perspective, it does not matter whether the result of their setup is a linear plate or not since a tone reproduction curve can always be applied to achieve whatever tones are required on plate - including linearizing the plate. What's important is that the exposed dot is robust and that the plate imaging is consistent across the plate and repeatable from plate to plate. Put another way - the key criteria is that when properly set up the plate will have a characteristic non-linear tone response. And that's fine - as long as the plate responds the same - i.e. delivers the same non-linear tone response – every time because without that consistency it is not possible to build any tone reproduction curves at all. These definitions are not "official" however they are useful to keeping the issues and discussions clear. A "plate curve" is a tone reproduction curve that is applied in the workflow to a plate in order to have it render tone values that are different from those it delivers when the laser exposure and processing (or lack thereof) have been set to the manufacturer's specifications. So, applying a linearizing curve that makes an inherently non-linear plate linear is an example of the use of a plate curve. A "press curve" is a tone reproduction curve that is applied in the workflow to a plate in order to have it render tone values that are required to deliver a specific tone response on press. The assumption is that the laser exposure and processing (or lack thereof) have been set to the manufacturer's specifications. By this definition, if only a linearizing curve is applied because a linear plate is needed to deliver the correct tone response on press then that linearizing curve is a press curve. A plate curve in this sense is not related to tone reproduction on press. It is effectively a calibration curve. It brings the plate to a known condition. However, in a CtP environment, the manufacturer's setup of laser exposure intensity, processing chemistry, and processing time effectively calibrates the plate plate to a known condition. It might not be linear but it is known. There is no need to recalibrate by applying a plate curve to what is already calibrated. Let's suppose that a linear plate provided the tone response on press that we need. Would it make sense to then use two curves - one to linearize the plate (a plate curve) and a second curve (a press curve) to linearize the linearized plate? I doubt it. Makes more sense to just apply the one linearizing curve - based on the uncalibrated natural condition of the plate. So, if that logic makes sense, why wouldn't it make equal sense if we needed a non-linear press curve? Just apply the one non-linear press curve based on the uncalibrated natural non-linear condition of the plate. As long as the plate's tone response is consistent then it can be the basis on which to build press curves. However, if the plate is inconsistent in its tone response then the use of linearizing plate curves as well as the use of press curves will fail. You cannot use curves, plate or press, on a device that is inconsistent. 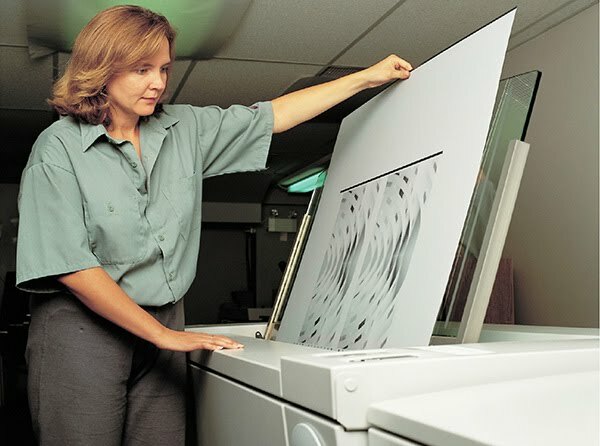 To determine the 'natural' NPDC curves of commercial CtP-based printing, G7 research analyzed numerous press runs made with ISO-standard ink and paper, and a variety of plate types imaged on “un-calibrated” CtP systems (no RIP curves applied, not even to “linearize” the plate). Set up the plate making RIP exactly as you would for a normal job, but clear out any values in the current calibration table, or begin with a new, empty table. 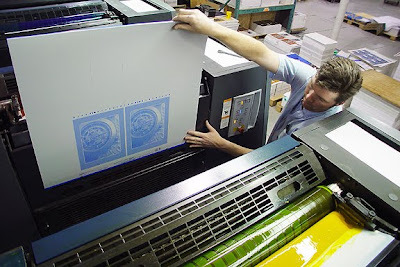 The first press run is best made with ‘un-calibrated’ plates – i.e. no calibration values in the RIP. IMPORTANT: Do NOT linearize the plate-setter so that measured dot values on plate exactly match original file percentages. Contrary to common belief, this may reduce accuracy of subsequent steps. a. PRINTING IDEALIZED TARGETS VALUES - Achieving calibration condition with raw or linear plates, not requiring a curve, is an ideal situation. *A note about authorities. I had trepidations about including these points from G7 because I do not believe that people should blindly do what some authority says they should do. It is not enough to say "Do it this way because I say it should be done this way." If the authority cannot explain exactly why one way is wrong and another right then it is just an opinion and without evidence to back it up it is not a credible opinion. I included these quotes only because they may carry credibility for some readers of this post. Scenarios “We’ve always done it this way!” or “This way works just fine!” Even when we have the time to think about how or why we do things a certain way, our thoughts are often clouded by that kind of thinking. However, it can make it easier to understand the merits of a one curve workflow compared with a two curve workflow if one breaks down the sequence of steps required to get a plate into the press room. Given the same final result, the fewer the steps - the better the workflow since it provides fewer opportunities for error. One curve workflow: one press curve = one curve total. Two curve workflow: one linearization plate curve plus one press curve = two curves total. One curve workflow: one press curve per paper type = three curves total. Two curve workflow: one linearization plate curve plus one press curve per paper type = four curves total. One curve workflow: one press curve per plate type = two curves total. Two curve workflow: two linearization plate curves plus one press curve = three curves total. One curve workflow: one press curve per press = two curves total. Two curve workflow: one linearization plate curve plus two press curves = three curves total. One curve workflow: modify one press curve so that the plate tones are the same as the previous plate batch = one modified curve total. Two curve workflow: modify one linearization plate curve plus apply the standard press curve so that the final plate tones are the same as the previous plate batch = two curves total. One curve workflow: modify one press curve to achieve the required tone reproduction on press = one modified curve total. Two curve workflow: one linearization plate curve plus modify one press curve to achieve the required tone reproduction on press = two curves total. One curve workflow: measure the new plate output and modify one press curve to achieve the same tone reproduction/dots on plate as with previous CtP = one modified curve total. Two curve workflow: measure the new plate output and modify the linearization plate curve to linearize the plate then apply the existing press curve = one modified curve for two curves total. Looked at this way, the linearization plate curve, in the vast majority of cases, is redundant. It serves no useful purpose except to add complexity and another point of failure. Goodbye JPEG - hello WEBP?